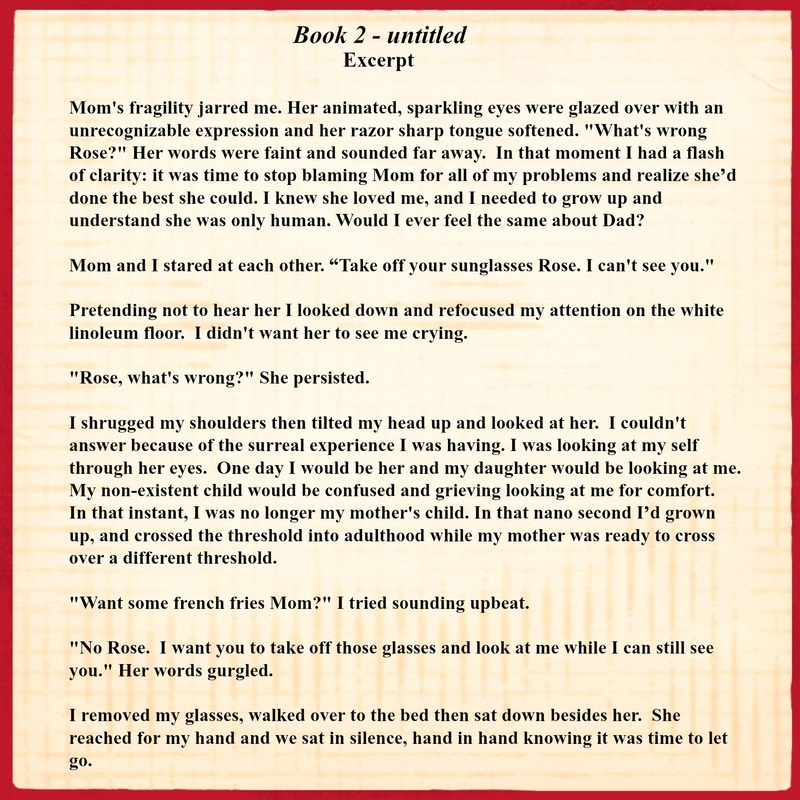 Book 2 – Work in progress. I’m writing my next book! Although I haven’t decided on a final title yet, I’m considering Not Just My Mother’s Daughter.